Public managers are increasingly concerned about the impact natural disasters and other emergencies may have on the operations of manufacturers. A disaster can affect a manufacturer to various degrees, from short-term shutdowns and employee layoffs to plant closings. This is especially true for small manufacturers that do not have robust business continuity plans in place. According to a study by the ARC Advisory Group, approximately 40 percent of businesses without a business continuity plan fail immediately because they are not prepared strategically or financially to cover the costs of extended downtime. An additional 25 percent fail within two years from lost revenues and cash flow problems. These failures, of course, have the potential to raise unemployment levels, reduce tax collections, and increase the demand and need for public services. Public managers and local emergency professionals routinely respond to tornado destruction, fires, explosions and chemical spills that impact manufacturers in their communities. In today’s economy, however, it is not enough for public managers to be cognizant of the effects of local disasters. Manufacturers are increasingly part of global supply chains in which products are made and distributed across state and national boundaries. Today’s automobile, for example, has about 30,000 parts which are made and assembled across a vast tiered supply chain that spans the globe. The growth and complexity of global supply chains have increased the interdependence of firms as parts and supplies are transported from plant to plant. While supply chain interdependence can increase efficiencies and drive down costs, it also increases the risks of disruption from disasters and other emergencies that may occur, not only in a public manager’s own community, but on the other side of the world. An often-used example of global supply chain disruption is the Great East Japan earthquake in March 2011, which produced a tsunami and led to the meltdown of nuclear reactors in Fukushima. While this disaster crippled parts of the Japanese economy, it also impacted companies throughout Asia, Europe and the U.S. 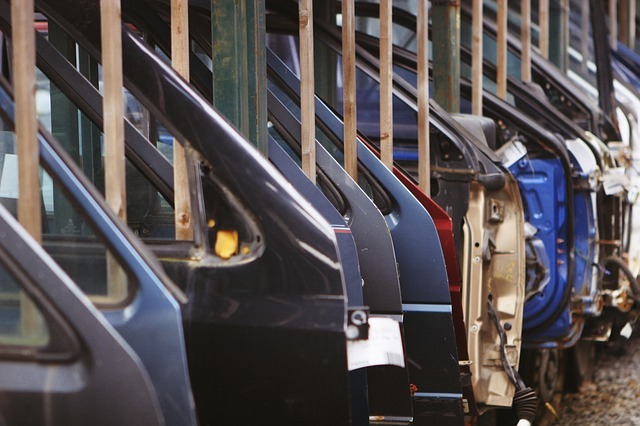 The disaster caused disruptions in the automotive supply chain, resulted in a shortage of small and mid-sized cars and reduced production levels in the U.S. In another example, a 2011 flood in Thailand negatively impacted the production of hard disk drives. Thailand is a major supplier of hard disk drives and is the location for many companies, notably Toshiba and Hitachi. The floods impacted the availability of needed parts, which led to increased prices for hard drives and an industry downturn. According to one report, the prices of hard disk drives made by Seagate and Western Digital tripled because of the flood. Supply chain management is an important topic for manufacturing executives, industrial engineers and others who are working to reduce the risk of supply chain disruptions. By improving visibility across supply chains, increasing collaboration among firms and enhancing control mechanisms, manufacturers are seeking solutions to supply chain problems. Forward thinking companies are building business continuity practices into their supply chains that allow them to recover faster and avoid temporary or permanent plant shutdowns. Unfortunately, these solutions don’t usually reach smaller manufacturers who don’t have the time or expertise to develop risk management strategies that will reduce the impact of disruptions caused by natural disasters or other emergencies. The public sector has an important role in helping supply chains increase resiliency. In a 2012 article addressing the impact of natural disasters on global supply chains, Linghe Ye and Masoto Abe write that governments play a fundamental role in building supply chain resilience. This includes increasing the speed and effectiveness of disaster recovery, providing timely financial support to help firms quickly restore operations and facilitating business rehabilitation and maintenance. In addition, public and private sector collaborations are exploring new mechanisms in insurance, information sharing and physical asset development that will reduce the risk of supply chain disruptions and minimize the economic impact of disasters. On regional and state levels, public managers are taking steps to understand supply chains that affect companies in their communities. This is being done through extensive supply chain mapping, which identifies firms, products and reaches of specific industry supply chains and how various emergencies can cause disruptions in specific communities. Supply chain mapping can provide greater insight into potential emergencies before they happen and point to potential collaborations, which can avert or shorten problems. Public managers are also developing training and technical assistance programs that facilitate business continuity planning by small and medium-size manufacturers. These initiatives will likely expand in the coming years as both the public and private sectors increase their understanding of how to better manage risk and avoid disruptions in global supply chains. Author: Paul H. Jennings, Ph.D., serves as executive director for the Center for Industrial Services (CIS), an agency of the University of Tennessee Institute for Public Service. CIS houses Tennessee’s Manufacturing Extension Partnership and other programs that help small and medium manufacturers grow, succeed and create quality jobs. Paul can be reached at [email protected].